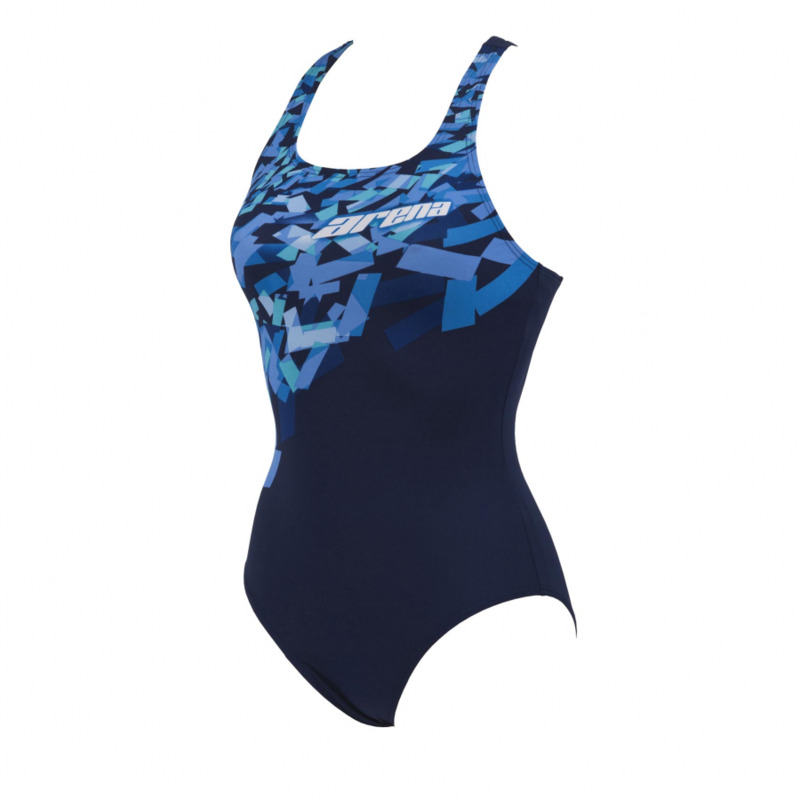 The Arena women’s ‘Crystal’ navy blue and contrasting blue pattern one piece swim suit is manufactured from Max Life material for long lasting comfort and performance. 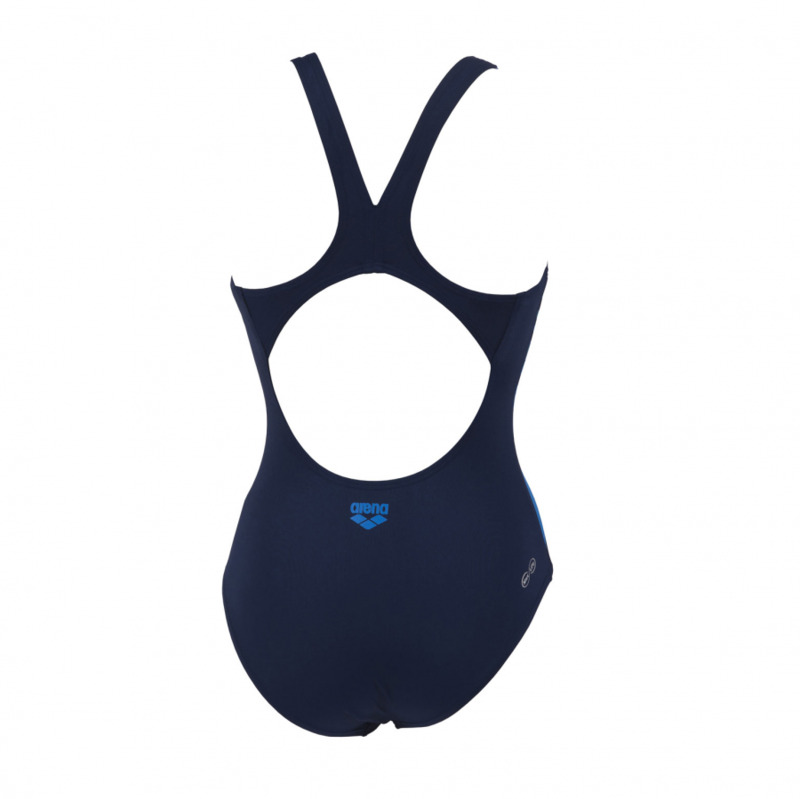 This state of the art Arena swimming costume moulds to the body allowing freedom of movement whilst resisting abrasion and pilling. Max Life has extraordinary resistance to chlorine as well as sunlight resistant which makes this fabric ideal costume for sunny climates. 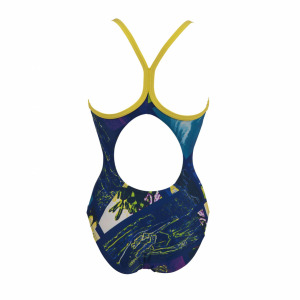 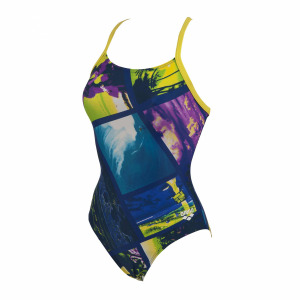 The ‘Swim Pro’ strap detai, front lining and medium cut leg complete this attractive costume.